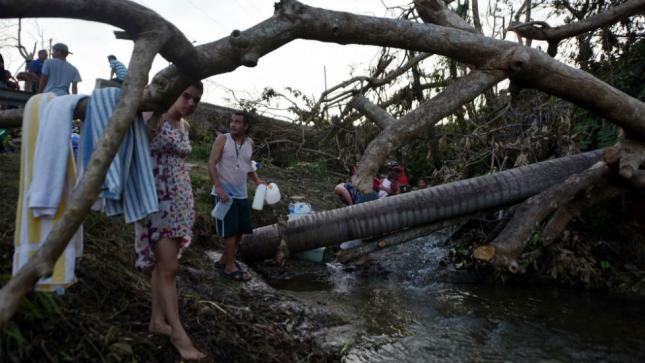 Almost half of the electricity customers in Puerto Rico lack power, according to officials on the island, 100 days after Hurricane Maria hit the island. Government officials on the island told The Associated Press on Friday that only 55 percent of Puerto Rico’s 1.5 million electricity customers have power. Before Friday, the only official figures from the Puerto Rican government concerned the amount of electric generating capacity that the island-owned Puerto Rico Electric Power Authority (PREPA) had running. The Army Corps of Engineers has taken a leading role in electric infrastructure recovery after PREPA ended a highly controversial contract with Montana-based Whitefish Energy. The Corps now hopes to return power to the entire island by May, eight months after Maria made landfall as a Category 4 storm. San Juan Mayor Carmen Yulín Cruz labeled President Trump a “disaster-in-chief” Friday for his administration’s role in the recovery efforts, which she views as inadequate.